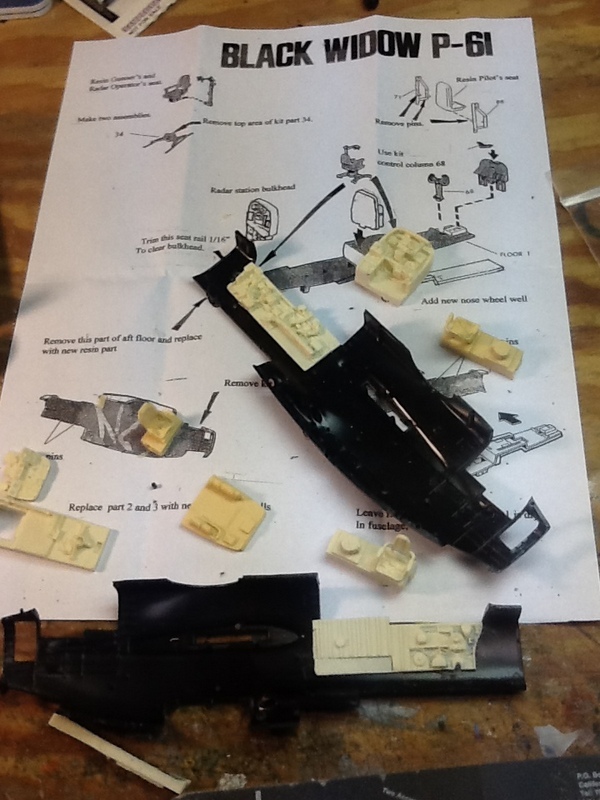 The Monogram P-61 is underway. 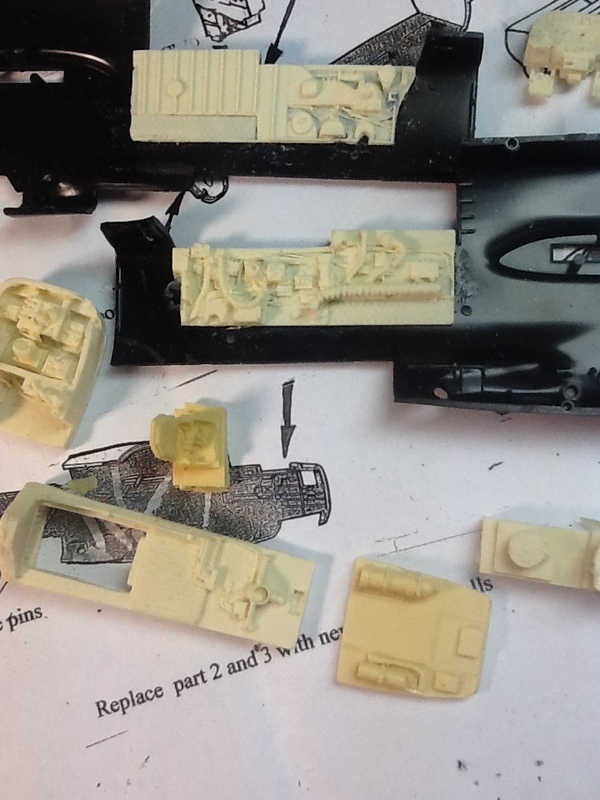 I’m using the Lone Star Model cockpit set and have most of it cut out and I am test fitting. So far so good, things look like they fit pretty well. I had to take a bow out of the kit floor using boiling water and clamping it to a solid flat piece. I realized tonight I don’t have any interior green so it’s off to the hobby shop tomorrow night. Now that I’ve parked the Constitution for a few weeks.. Inspired by a fellow blogger, who builds multiple kits at the same time, sometimes in the middle of a move, I’ve decided to build at the same time a couple of kits I’ve wanted to build for a while; the Monogram P-61 and a 1/48 Hasegawa Bf-109e in desert markings. I’ve had the P-61 next to forever. So long in fact the parts are dusty in the box (how do model parts get dusty in a box?) I will use the Lone Star Model P-61 cockpit kit with this. I have wanted a P-61 in the collection for awhile and I have a lot of things to try on this kit; salt weathering, faded black painting, oil dot filter wash on black, etc. 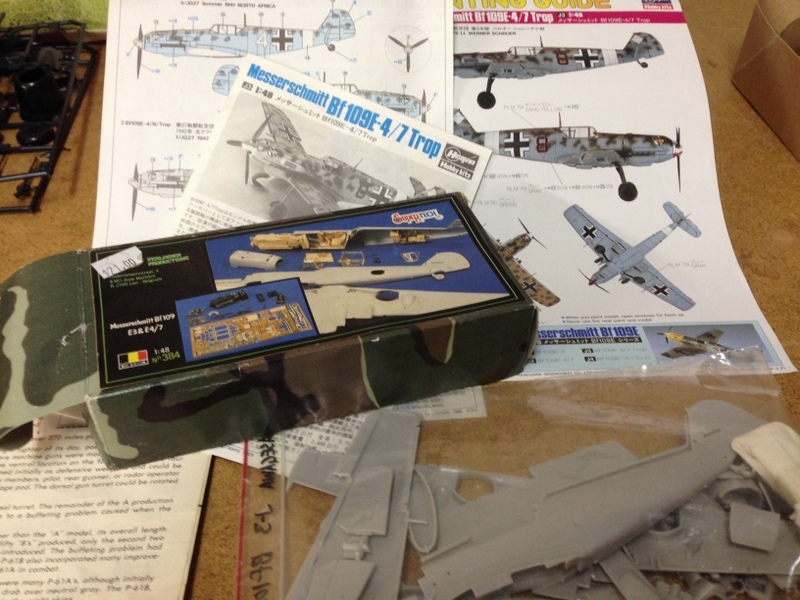 The Bf-109e is a Hasegawa builder I bought off of eBay along with a Verlinden set that was missing the photo etch when I purchased it. I’m going to challenge myself to make up for the lack of photo etch and do some modeling using the resin parts. Lower Main Mast Standing Rigging is Done! 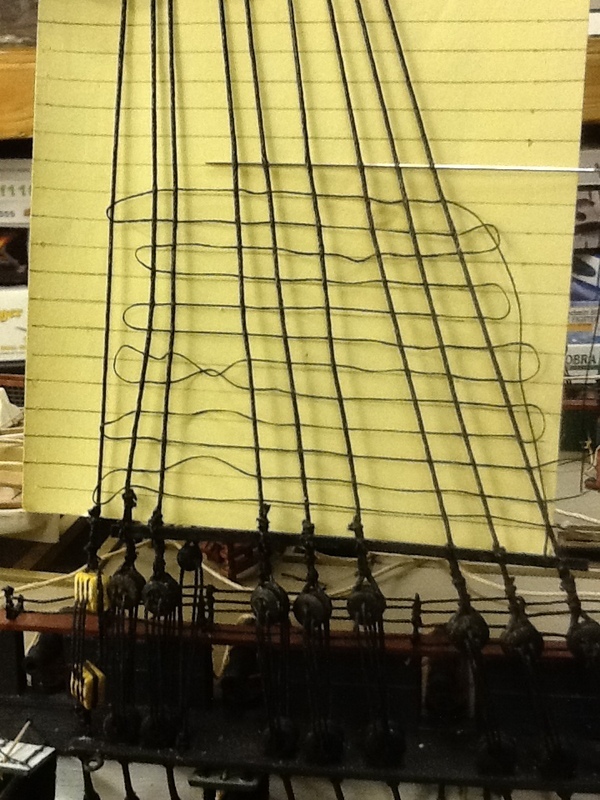 I’ve been rattling away a bit at a time on this lower main shrouds. Spent most of this afternoon on the starboard side. I can’t believe how much time it take to add all of the ratlines. 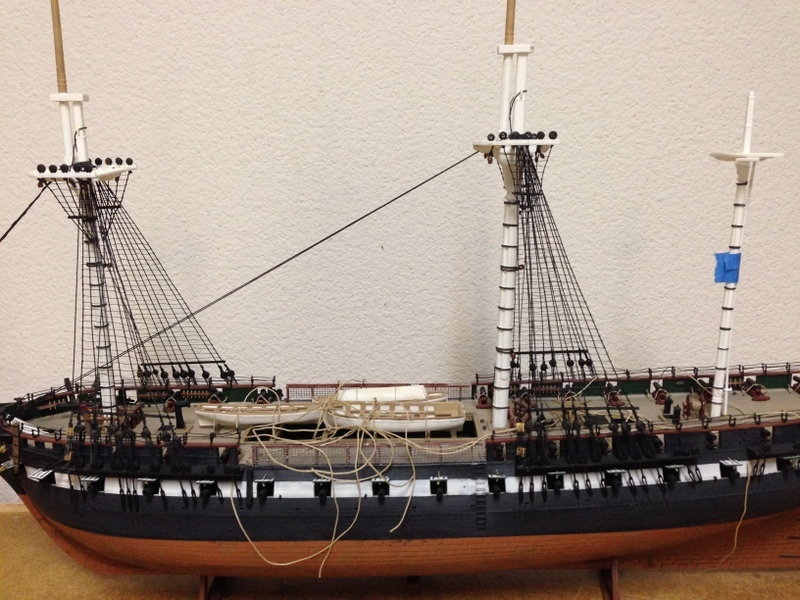 Was thinking about how nice it would have been to use the ones from the kit but once you see the result… Nah..
Lower main mast rigging and main mast stay are done. Time to park the ship back on the mantel whilst I tackle some other kits. 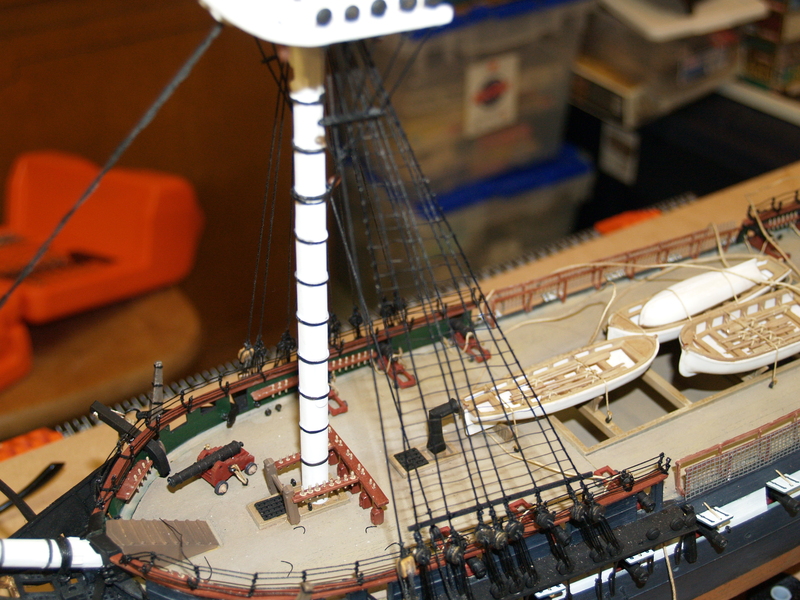 I’ll get back to this kit in a couple of weeks to start the mizzen mast – goal is to complete by Christmas! The main mast shrouds are done. 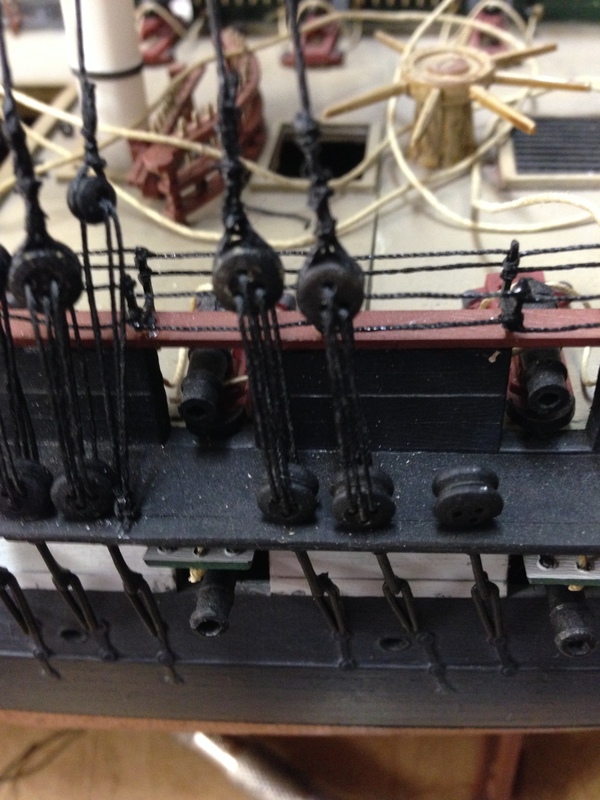 Time for the task of adding ratline (these are the footrope the sailors used to climb aloft). Next is how we rattle the shrouds. I have a piece if paper marked with equal lines I please behind the shrouds to line up the ratlines. There are two ways to put the ratlines on; bring them across the shrouds and tie a clove hitch at each shroud, or the quick way I do them with a needle and thread. This goes a lot faster for me. After they are done cut the loops on the end and make sure they are straight and the shrouds are aligned and a drop of super glue on the ends, trim up and it looks great! 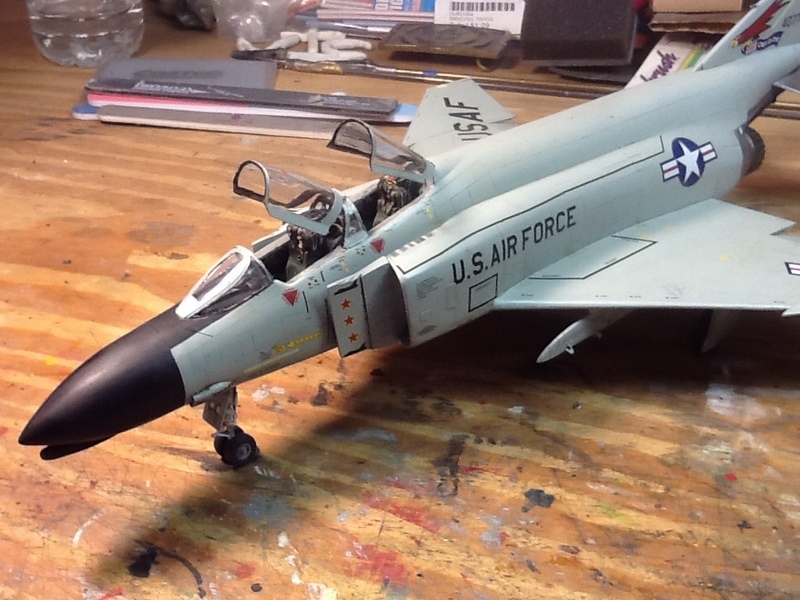 Stepped off the airplane circuit for a bit while I continue to rig my Revell 1/96 constitution. If you’ve built one of these Revell wonders in the past you will remember that the shrouds and ratlines come to you in the kit prepackaged. 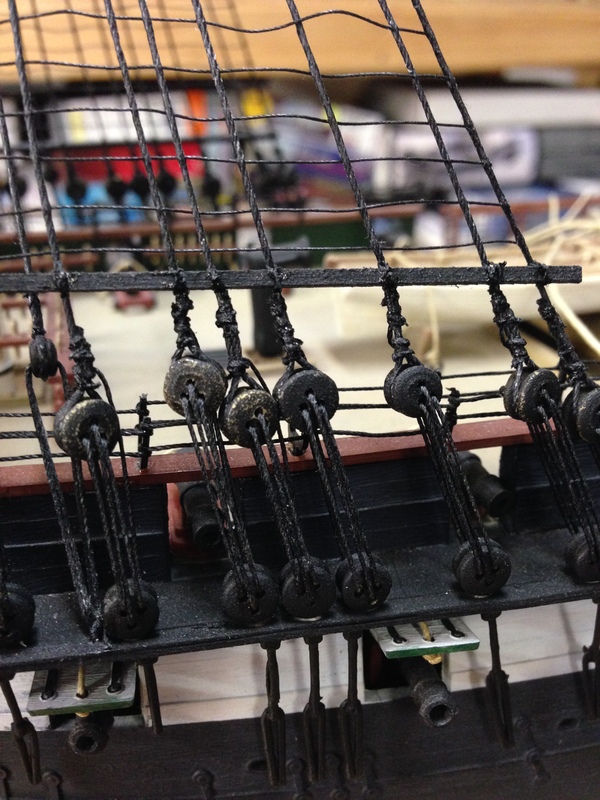 You cut them on a pattern and tie them to a set of plastic deadeyes that resemble the real thing as shown here in a previously built Revell Cutty Sark. The plastic stuff wasn’t going to be good enough for the Constitution. I’m rigging the main mast shrouds. I previously installed the lower set of deadeyes when I assembled the hull. Unlike model airplane building this involves hours of repeated tasks. There are 16 individual pairs of deadeyes and each one rigged to a shroud requires two siezings (wrapping thread around the strand to hold them together) and running the thread through the deadeyes to pull down the shroud. Over and over again! But the results can be worth it and shown in the foremast shrouds completed here. Half way done with the mainmast, then I get to rattle them all down, rig a few stays, and onto the Mizzen Mast! Be still my heart. The first model completed this year (and I have actually had it started for years). This sat on the shelf for a few years while I psyched up to work the resin cockpit set into the kit. I finally found the compromise and it looks great. 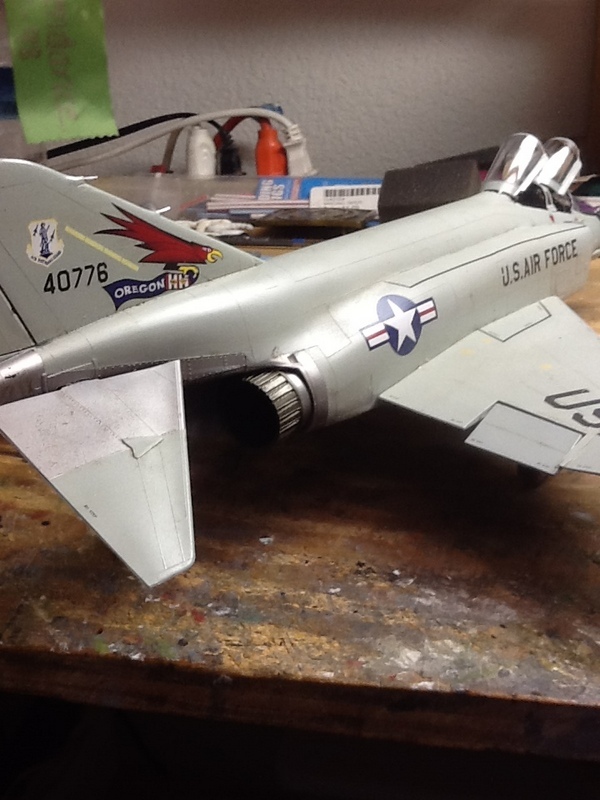 Here are some finished shots…. I’ve got the 4th weekend to think about it!